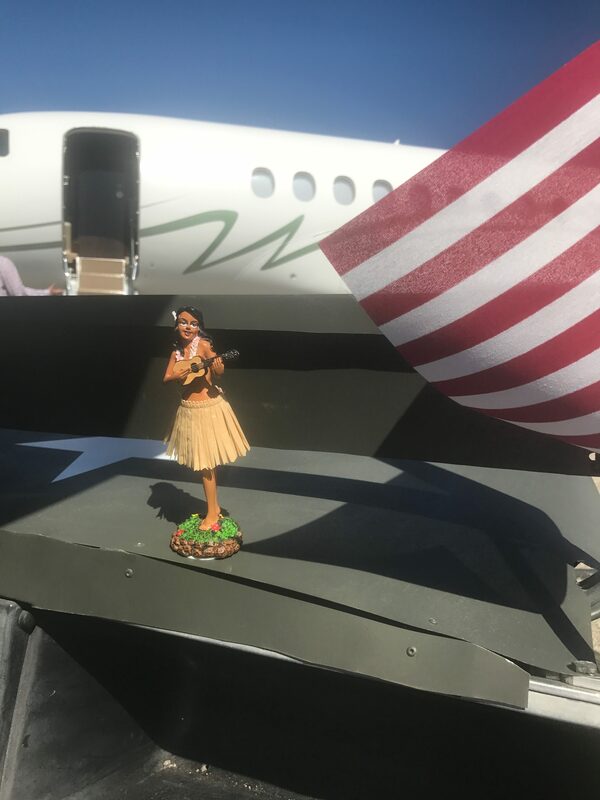 For many years, Sonoma Jet Center has welcomed passengers and crews to northern California’s wine country with a festive cart for the summer months. The 2017 cart inspiration was vintage military Jeeps. 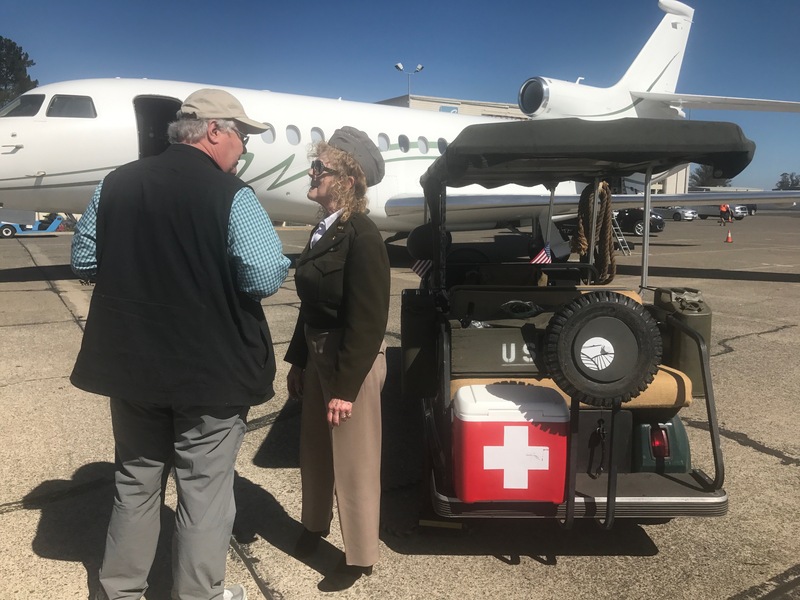 The team at Sonoma Jet Center worked together on the perfect touches including authentic Jeep grill, gas cans, helmut, first aid bag, shovel, and rope. The cart even had a dashboard hula girl! 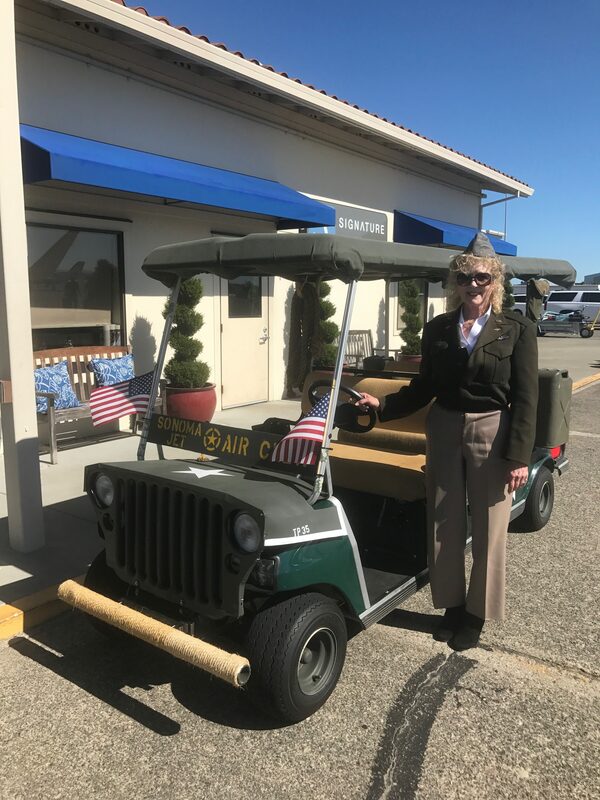 We love the big smiles from our customers when they see the “Sonoma Jet Aircrew” cart!